With exploding recall batteries and overheating GPUs, laptop heat can be a real problem to the gamer on the go. 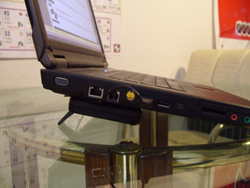 Thankfully Jetart has the NP8800, a laptop cooler designed for 7"-15.4" laptops, to help alleviate the problem. Fan Speed 2300 R. P. M.